Alta Resort, Utah, is one of three remaining bastions where skiers can go about their business without the dregs of society (also known as snowboarders) showing up and ruining the peace and serenity… Luddites. Many attempts have been made in the past to “poach” these backwards thinking resorts but still the management remains defiant. 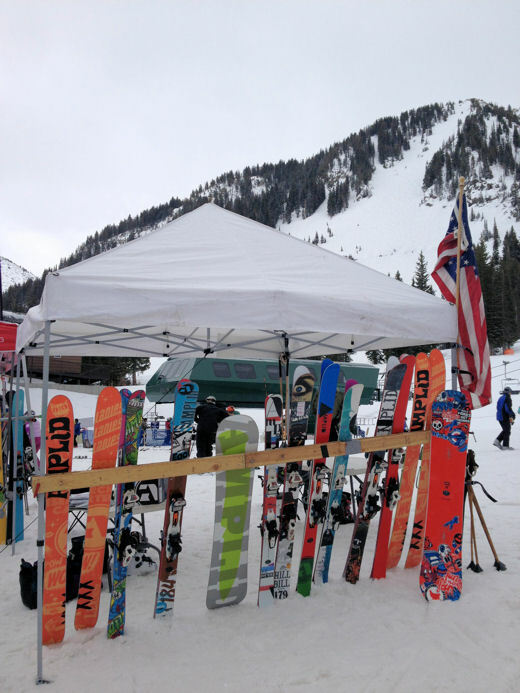 Amplid showed up at the Powder House Ski Shop demo with an entire fleet of 13/14 demo skis and few snowboards in an attempt to lure some Alta locals to the darkside.